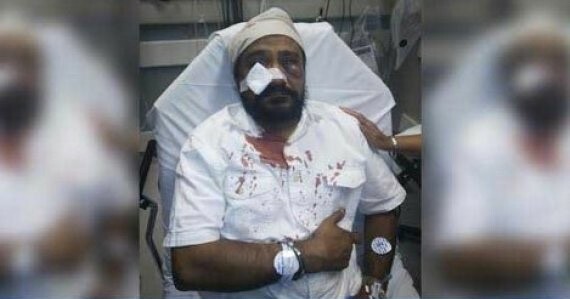 A brutal hate crime on the eve of the 9/11 anniversary has once again shaken the Sikh community. Last week, Inderjit Singh Mukker, a Sikh father was beaten in Chicago as a man called him “terrorist” and “bin Laden.” This happened in the suburb of Darien where my husband grew up. Our first reaction was sadness and overwhelming fatigue. Tomorrow marks the 14-year anniversary of the first post-9/11 hate crime murder of Balbir Singh Sodhi, whose story we tell in our film Divided We Fall. Now as new parents, we wonder what has changed in fourteen years. Hate crimes are five times more likely to target our communities today than before 9/11. But one thing has changed — we now have the tools to change the story. Millions of Americans of all faiths and beliefs can leverage our solidarity online to transform culture. The first step to shaping the future is remembering the past: You can click here to ask Congress to adopt a resolution honoring all victims of post-9/11 hate crimes through the Sikh Coalition. The Sikh community is holding a community rally in Chicago tomorrow. My friend and beloved African American preacher Rev. Otis Moss III is standing alongside my brothers and sisters in the Sikh faith. His solidarity fills us with hope. As does yours. So today, for our son and his generation, we shake off despair in the spirit of Chardi Kala — ever-rising optimism.